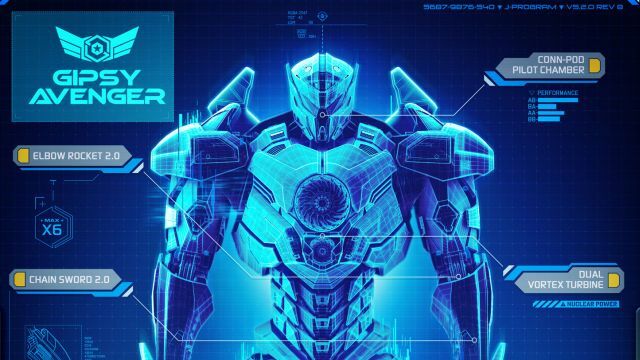 Pacific Rim Uprising Jaegers and First Plot Details Revealed! Following the debut of the Pacific Rim Uprising recruitment video, the film’s viral site (GoJaeger.com) has revealed five new Jaegers that will be seen in the upcoming sequel! Read on to learn more about the Pacific Rim Uprising jaegers and check out their blue prints in the gallery below. GIPSY AVENGER – Gipsy Avenger honors the heroic legacy of her namesake as the flagship leader of the Mark VI fleet. More than just a Jaeger, she is a symbol of hope to millions. BRACER PHOENIX – A Mark V brute that can still run with the VI’s, Bracer Phoenix shoots from the chest, with a centrifugal vortex cannon that is as spectacular as it is deadly. SABER ATHENA – The sleekest and most elegant Jaeger ever created, Saber Athena is the fastest in the fleet, wielding twin blades in hyper-acrobatic combat. TITAN REDEEMER – Built for brute force and armed with a seismic morningstar, Titan Redeemer is the walking wrecking ball of the new fleet. GUARDIAN BRAVO – Designed for combat at range, Guardian Bravo wields the Elec-16 Arc Whip: a proto-metallic successor to the chainsword, and brings a new sophistication to the chainsword’s whiplash move. 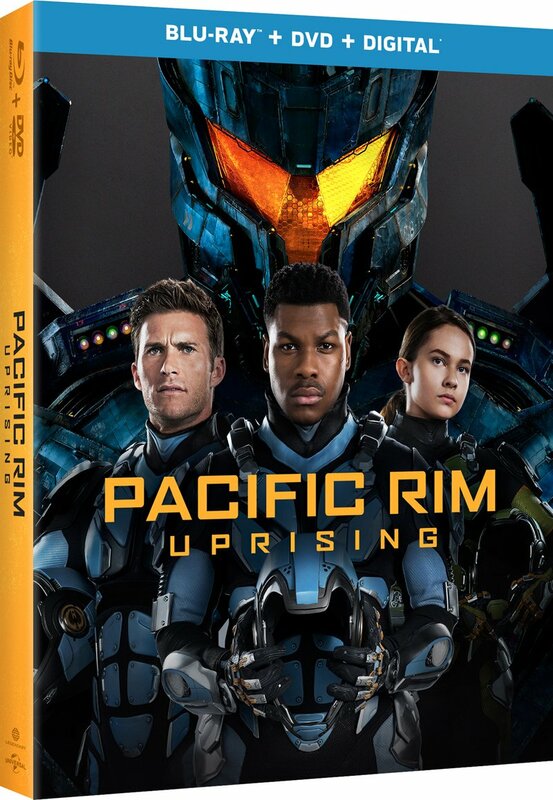 Formerly titled Pacific Rim: Maelstrom, Uprising stars John Boyega (Star Wars: The Force Awakens, Attack the Block), Scott Eastwood (The Fate of the Furious, Snowden), Jing Tian (The Great Wall, Kong: Skull Island), Wesley Wong (Buxiude Shiguang, Sorry I Love You), Lily Ji (Skiptrace, Transformers: Age of Extinction), Lan Yingying (Surgeons Story, Empresses in the Palace), Qian Yongchen (The War of Beauties, The Golden Age of the Leftover Ladies), Zhang Jin (Ip Man 3, Kill Zone 2), and newcomers Cailee Spaeny and Chen Zitong. Directed by Steven S. DeKnight (Marvel’s Daredevil), Pacific Rim Uprising is based on the universe first created by genre film culture innovator Guillermo del Toro and Travis Beacham in the 2013 blockbuster Pacific Rim. Thomas Tull, Mary Parent, Jon Jashni, and del Toro are producing the new action adventure alongside Boyega and Femi Oguns under their Upper Room Productions shingle. Cale Boyter and Eric McLeod serve as the film’s executive producers. Catch Pacific Rim Uprising in 2D, 3D and IMAX 3D theaters February 23, 2018.